Professional Tree Pruning & Removal - Prairie Woodlands Tree Care Ltd.
Take a break from sales oriented companies and let us share with you all the best information on trees for you to make informed decisions. We are business partners that strive to inspire you with our passion for trees. Not only that, delivering great customer service and building a well-known and recognized business is our passion. Besides just being “your friendly neighbourhood tree guys” we also provide the following services. Proper planting placement and tree selection can benefit the tree and avoid issues later on . We offer insect consultation and treatment solutions if necessary. Our knowledgeable Arborists are educated to identify a wide range of pests and apply the "integrated pest management" framework. Our licensed applicators are fully trained and outfitted to complete any job safely and effectively. We strive to employ the most current and up-to-date application methods. Insects Managed/Controlled: Aphids, Birch Borer, Birch Leaf Miner, Bud Worm, Caterpillars, Emerald Ash Borer, Sawfly, and Scale. Trees in the urban environment may not get enough nutrients. We provide a slow-release fertilizer that will give your trees and shrubs a boost to handle the harsh Calgary conditions. We can help with the safe removal and clean-up of storm-damaged and hazardous trees. We sell coarse woodchips that are perfect for a multitude of applications. Whether you're suppressing weeds in your flowerbed or mulching trees — we have what you're after. Proper pruning techniques and timing are critical for the tree's health and future growth. Improper cuts can have a lasting impact on your tree. We offer "Training" (Early pruning is less expensive and promotes good structure from an early stage and helps avoid expensive jobs later on.) and "Preventative" pruning; Pruning for fruit and flower production; Crown cleaning, thinning, raising, reduction, and restoration; and Hedge trimming. Benefits to pruning: Eliminates the potential for branch failures; Clearing from obstacles; Disease, infection, and infestation removal (Black Knot, Fire Blight, Scale); Reducing wind resistance and over-shading. We will dispose of any stump left over after a tree removal. Before any job can be completed, consult with one of our ISA Certified arborists to discuss your needs and objectives. We will provide you with accurate information on the best interest of your tree. Consult with us before doing any excavation or construction close to your trees – help successfully preserve your investment! We offer tree risk assessment to help determine overall health (disease, decay, failure potential) as well as diagnosis and recommendations for plant disorders. We install bracing and cabling systems to help your tree handle even the strongest winds Southern Alberta has to offer. Graham Huber graduated in Arboriculture from Sir Sandford Fleming College in 2008. He has also obtained his accreditation with the International Society of Arboriculture (ISA) as a Certified Arborist. For the past 10 years he has worked with trees with a focus on climbing throughout Ontario, British Columbia, and Alberta. Graham is keen on continuing his education and training in the tree world. Seth Wasylycia graduated in Environmental Biology from the University of Guelph in 2012. He also obtained his accreditation with the International Society of Arboriculture (ISA) as a Certified Arboristas well as his Pesticide Applicator Certification. Through habitat and forest restoration projects, Seth has gained much of his tree related knowledge, including planting, tree selection, and insect/disease diagnosis. We take pride in our work and strive to leave your yard looking better than when we arrived. We provide readily available expert knowledge combined with an unmatched dedication to customer service. Qualified professionals that get the job done safely, efficiently and right the first time. Complete tree care with a tree-first philosophy. Work completed using industry leading practices by ISA Certified Arborists to plant, maintain, or care for any tree. We both had a keen interest in natural and environmental sciences which led Graham to pursue studying arboriculture, while Seth studied Environmental Biology. We independently worked for different outfits across the country gaining skills, knowledge, and experience. Graham gained experience in all aspects of arboriculture from dealing with storm damaged trees in Southern Ontario to removing fire scorched trees in Kelowna and everything in between – climbing, rigging, proper pruning, removals, cabling/bracing, etc. 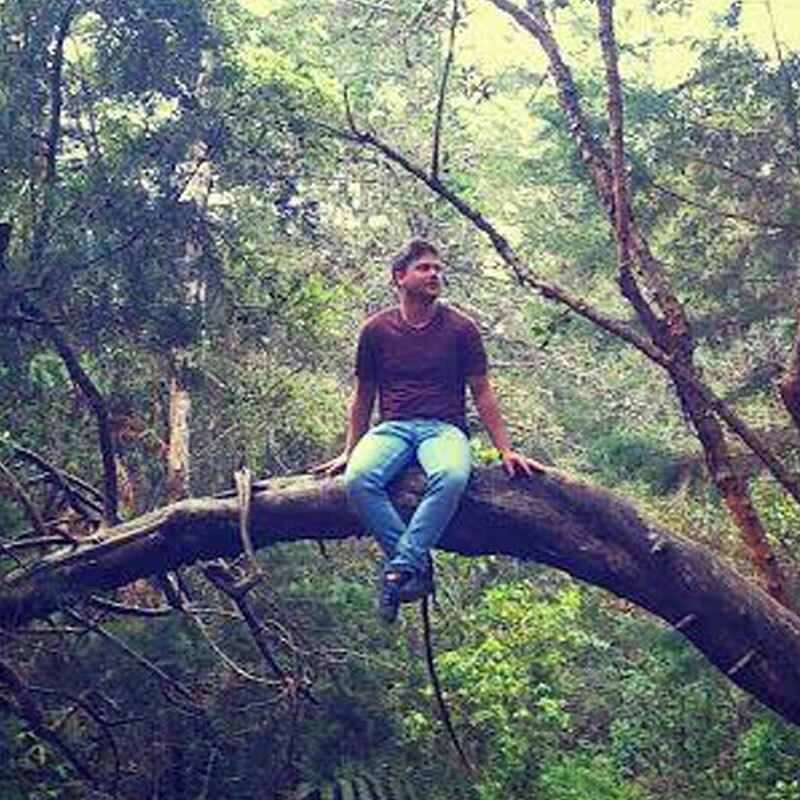 As a kid he had a top-notch tree house which was the spark that ignited his passion for climbing trees. He also spent time in Northern Quebec at a family property helping to selectively log land for a cabin on the lake. Seth gained arboriculture experience through environmental restoration – reclaiming both urban and spent agricultural lands back to native forest. He also spent time pruning and removing trees throughout the city. He spent time in the woodlot behind his grandparents farm in Ontario where he grew to love the forest. We found ourselves in Calgary during the September snowstorm in 2014. We decided it was time to go out on our own and start a business. So we started small and quickly knew we desired to provide every aspect of care to trees and it grew from there. We started advertising at our acreage, attracting neighbours and it snowballed into a lot of work, via word of mouth. Our first big contract, stemmed from a completely satisfied customer in a very small residential job. The project that encompassed, was a complete tree care from planting, mulching, disease/insect control, pruning, removals, shrubs, etc.